For the past ten years, Jude Boarding Services has been West London's leading luxury small animal holiday home. Run by loving pet owners with decades of combined experience, Jude Boarding Services offers you complete peace of mind when leaving your furry friends. Enjoy your holiday knowing that your pets will be well cared for, handled regularly and given lots of attention. A selection of small, medium, large and deluxe duplex hutches for rabbits and guinea pigs of all shapes and sizes. For hamsters and tortoises, you will need to bring your own accomodation. *NB don't worry, your loved ones will never mix with any other boarders; there is a rotation policy with the run! We use a local veterinary service; if we ever suspect an animal is sick, they will be taken for examination immediately. Please call for further information on rates. Discounts available for extended/multiple/repeat bookings. I was looking for a boarding service for our guinea pig for the five nights myself and my partner were away for. We found Jude Boarding Services through this website and couldn't be happier! Kate is extremely experienced when it comes to guinea pigs and rabbits, she had recommendations for us and was very accommodating with our little one! He squeaked with joy when he saw his hutch for the first time and loved running around on the grass. The fact that you can have updates whilst away is very reassuring, both us and our piggie loved the service and we will come back whenever needed, regardless of the commute - when it comes to a pet you should always choose the best, and I am glad we found the one for us! Thank you very much! 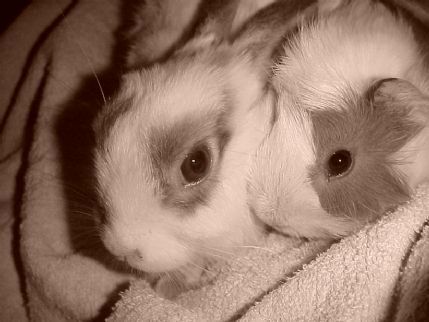 I have taken my bunnies to Kate's now for the past 3 years, and it is very clear Kate loves her animals and is extremely caring and understanding. Unfortunately, our bunny Masie was unwell during her stay, and kate was absolutely fantastic in looking after her. So much love and time was given to Masie to help with her recovery, administrating all her medicine, and even brought her indoors for a hop around her spare room. The hutches are very clean and she always had access to the outdoor run for a hop around. The bunnies are fed extremely well with lots of fresh veggies. I will certainly be returning to Kate's boarding service next time i jet away. i strongly recommend Kate's boarding services. If you are looking for a safe, clean and happy holiday home for your pets i would recommend Kate. It is a home away from home. We have just collected our hamster after boarding for the first time. Kate is very easy to deal with and seems a genuine pet lover. She clearly has a great deal of experience and inspires confidence. We'll definitely return the next time we need holiday pet care. First and foremost, Kate clearly loves rabbits and guinea pigs, which is exactly what you want to see from someone when you're leaving your own pets with someone you don't know! Professional, knowledgeable and with great facilities, Kate offers great value for money and above all a safe and lovely place to leave your precious bundles of fluff! For the last three years I have used Jude boarding services on a regular basis for my rabbit. Kate, who runs it, takes great pride in the service she offers. Kate adopts and loves each pet in her care ensuring all their individual needs are met. Kate is very flexibile, professional and caring, which allows me to confidently leave my rabbit. Our rabbit is brilliiantly looked after. All the hutches and runs are always clean and well maintained. I would highly recommend this bunnery. Our hamster Daniela stayed for two weeks with the lovely Kate this summer, Daniela was very happy and relaxed on our return. Her cage was immaculate and her food & water were fresh. We highly recommend Jude Boarding Services for any small rodents and rabbits. We are based in the leafy environs of Chiswick, W4; a short 5 minute walk from Turnham Green underground station (district line). Feel free to come and check out the facilities on offer before making a booking. Very flexible drop-off and pick-up times.